WestHost is an established company that has been providing web hosting services to small businesses and individuals since the early days of the Internet. While the company is a well-known hosting option around the world, are they any good? We test Westhost thoroughly and on a regular basis to keep you upto date on their performance and to help you get a better idea if this company’s plans and features are right for you. Here’s what you get for just $1.99 per month. WestHost was founded back in 1998 by Chris Russell. The company intended to provide clients with a low-cost hosting solution. Within its first 10 years, WestHost became a prominent figure in the world of web hosting. By 2008, the company had over 80,000 clients in 130 countries. In that same year, WestHost was acquired by UK2, a London-based hosting provider. With this acquisition, WestHost was able to flourish and grow even further. The company utilizes the technology and data centers of the UK2 Group to expand its offerings and provide reliable service. Today, WestHost’s headquarters are located in Providence, Utah. The company offers many different services and hosting plans to suit a wide range of needs. They offer a number of shared hosting plans as well as dedicated WordPress hosting plans. Each option has its own unique perks, allowing you to get a plan that’s right for you. WestHost has multiple data centers in locations throughout the world. This helps to expand the company’s reach. It can serve you well, no matter where you are located. WestHost also goes the extra mile to ensure that your website is hosted on a server that’s safe and secure. Every data center has multiple layers of security. This includes restricted entry points, biometric locks, security personnel, and video surveillance. Each server is connected to a backup generator to keep your website running even in the event of a blackout. The performance of a host’s servers can have a significant effect on your website’s overall performance. WestHost provides adequate speeds. Page load times hover around the industry standard of 890ms. However, content-heavy websites may experience dips in performance from time to time. Luckily, WestHost does have a few different ways to get better performance, for an additional fee of course. They offer VPS with solid-state drives and cloud hosting through Cloudflare CDN. These options are relatively easy to set up once you have an account and can dramatically improve performance once your needs go beyond the restrictions of standard hosting plans. Uptime refers to how often your website is accessible to web users. Needless to say, it’s an important factor to consider when you’re searching for the right host. At first glance, it may appear that WestHost offers an uptime guarantee. However, that’s not technically true. The company uses some vague verbiage when they discuss uptime on their website. Typically, you can expect to get a solid uptime percentage of around 99.9 percent of the time with WestHost. The company continually monitors and maintains its server infrastructure to keep the uptime percentage as high as possible. With that being said, uptimes will fluctuate. Many user reviews about WestHost report that average uptime sometimes dips below 99.9. Westhost offers a number of great security features that are designed to provide you with multiple layers of protection. 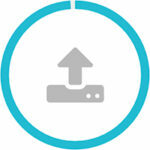 All of the shared hosting plans have the added perk of regular backups. Your website will be backed up nightly to ensure that all of your hard work remains safe. Business plans also come with a free SLL Certificate to let visitors know your site is safe. Additional features are also available. SiteLock is an add-on feature that’s available in three different price points. The different plans provide your website with varying levels of protection. Essentially, SiteLock performs much like an antivirus application on your computer. It can protect your website from hackers, bots, and other types of malware. In the event that your website, applications, or databases are compromised, WestHost engineers will take care of the problem for a flat fee of $150 or $300. Another layer of security that you can utilize with WestHost is two-factor authentication. This feature is free and can be turned on and off as you please. It helps to prevent others from accessing your account and making changes to your website. WestHost has a number of features that make it a suitable option for many users. Here are just a few advantages that WestHost can provide. Westhost has consistently good uptime levels. 7/10 for support and assistance. Always helpful but a bit slow when it comes to support response times. 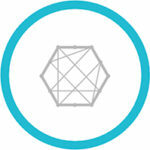 WordPress hosting which has 100% compatibility with all WordPress features and plugins. If you get one of the standard shared hosting plans, you can see if WestHost is right for you without any risks. They have a generous money-back guarantee policy. During the first 30 days after registration, you can close your account and get a full refund. This does not apply to domains, however. This policy gives you more than enough time to see if your website can benefit from the hosting plan. To make things even easier, the company can also help you move your existing site to their servers for free. Before you even decide to host your website, you’re going to need a domain. While you could easily register your own domain, that comes with an added recurring cost. If you go with WestHost, you don’t have to worry about domain costs at all. They offer a free domain as long as you’re hosting with them. There are, however, some limitations. You can only get one free domain with shared hosting plans. The perk is also only available with Preferred and Business plans. If you opt the affordable Personal plan, you’ll still need to pay for your domain. Furthermore, the free domain is reserved for annual subscriptions only. At some point, you’re going to need some technical assistance with your website. Luckily, WestHost has a customer support department that’s available 24 hours a day, 7 days a week. A dedicated support page is also available. It has an intuitive knowledge base that allows you to troubleshoot issues on your own. Simply type in search terms to find answers to many common problems. There’s also a number of helpful how-to guides. If you still need assistance, there are multiple ways to contact a support specialist. 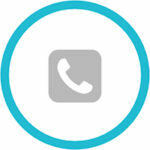 The support page includes a support ticket form, a toll-free telephone number, and a live chat function. 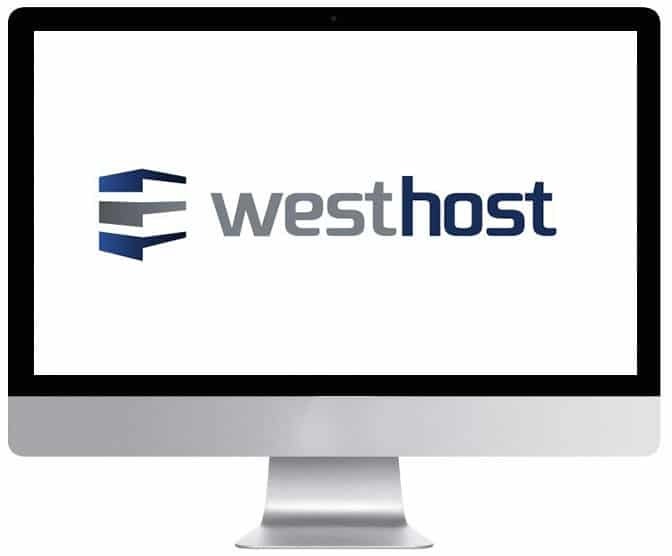 WestHost has become a one-stop shop for businesses and individuals who need flexible hosting services. Their hosting plans offer a lot of features already. However, you can also subscribe to additional features as your website grows. For example, you can get dedicated VPS, cloud services, robust security features, and more. WestHost also acts as a domain registrar and has an intuitive website builder plan to help you design your digital space. Of course, all of these extras do come with added costs. Your monthly hosting rate can quickly climb due to all of the extra fees WestHost has. WestHost also allows you to get creative with scripts, applications, and content management systems at no additional. Installing these features is free with all web hosting plans. WestHost utilizes Softaculous for one-click installation of forums, digital shopping carts, picture galleries, and more. The company offers support for Perl, PHP, MySQL, and many other programming languages, ensuring that you won’t have any issues installing most applications. WestHost runs on Linux-based servers. As a result, they utilize cPanel. cPanel is a web-based interface that allows you to make changes to your website quite easily. The system is very user-friendly. It features intuitive graphics and various menus for navigation. If you’re unfamiliar with cPanel, WestHost has a detailed demonstration on how to use it. They also have plenty of support pages to help you make the most out of the system. WestHost is not perfect by any means. There are some areas in which the hosting company can improve the overall user experience and hosting process. Despite touting a 99.95 percent uptime rate and fast speeds, WestHost has a reputation for scoring consistently lower than competitors in key performance areas. While the discrepancies may not be that significant at first, they can still affect your business in terms of high bounce rates due to slower than average load speeds. With all of the hosting options available, even small dips in performance are not acceptable. In fact, many users have reported serious performance issues in the past. Some have experienced lasting outages and snail-paced load times, even on simple websites. This is something you need to consider if you’re looking to get service that you can rely on. Another issue that’s worth noting is the rather vague limitations on acceptable use. Many of the hosting plans offered by WestHost are advertised with unlimited bandwidth and unmetered storage. You would think that means that you could host as many files as you want. Unfortunately, that’s not the case. Hidden within the fine print of the Terms and Conditions page is the real information. WestHost states that unlimited plans are meant for small businesses and personal websites, not larger companies. Websites with too many files or databases that exceed 10 GB in size are deemed unacceptable. If you have one of these larger websites, the company can request that you modify your digital space and downsize. If you don’t comply, they can close your account permanently. This information is tucked away, not openly advertised on their plan pages. You would need to do a bit of extra digging to see it. The unlimited plans are not truly unlimited with these restrictions, so it’s important to keep that in mind when you’re creating your website. Pricing is another point of contention among users. You may end up paying a lot more than the advertised price. You see, the lowest advertised price comes with commitment restrictions. Essentially, you have to sign a contract and possibly pay more upfront to secure the discounted price. For example, the Preferred Hosting plan is advertised at $5.20 per month. However, you only get that rate if you sign up for either 1, 2, or 3 years at a time. If you choose to subscribe to the hosting plan on a monthly basis with no commitments, you’ll end up paying $13.00 a month. That’s more than double the advertised price! Some plans, such as the Personal Hosting plan, have an advertised rate that only applies for a predetermined amount of time. The personal plan is available for $1.99 per month for the first 12 months. If you decide to keep your website up and running after that, you’re going to need to fork over $8.00 per month, quadruple the advertised price. While WestHost does set your account up relatively quickly, it is not done in an instant. You will have to wait to begin creating your website and uploading files. The company states that all new accounts are guaranteed to be set up and activated within 24 hours. Depending on when you register and pay for your hosting plan, you may end up having to wait several hours before you can get started. WestHost does have a team of support specialists available every day of the week. However, that doesn’t always mean that you’re going to get the help that you need. You may experience delayed responses and long wait times. This is especially true during peak business hours. Many users have also commented on the quality of support they received. There are many complaints about the level of service declining in recent years. People have had to wait multiple days to get a response to support tickets. Others never even found a solution to their issue, even after talking to a live person. There seem to be some consistency issues in how effective the support system is. This could prove to be very frustrating, especially if your website is a key part of your business. WestHost offers a number of different hosting plans to fit the needs of all kinds of businesses. Their most popular plans are for shared hosting and WordPress hosting. Here’s some information about what you get with each price point. With shared hosting, your website and files are stored at one of WestHost’s many data centers. As the name implies, you share a server with multiple account holders. The fact that websites don’t have a dedicated server is what makes these plans so affordable. There are three options available to small businesses and individuals. This affordable hosting plan is designed for newer websites. It’s deal if you’re just getting started. The plan includes hosting for a single website, 50 GB of storage space, and 1,000 GB of bandwidth. You can also have one SQL database and unlimited email accounts with 10 GB of storage. Unfortunately, this plan doesn’t include a free domain. However, you do get 10 subdomains. The plan also includes up to 100 FTP accounts. It costs $1.99 per month for 12 months. After the 12-month period, the plan costs $8.00 per month. With the Preferred Hosting plan, you can create larger websites. You can also have an unlimited number of websites with your account. This plan does include one free domain, along with an unlimited number of subdomains. It includes 200 GB of storage space and 2,500 GB of bandwidth. While the personal plan offers a limited number of SQL databases and FTP accounts, both are unlimited for the Preferred plan. The Preferred Hosting Plan costs $5.20 per month for commitments of 12, 24, or 26 months. After that period, it costs $13.00 per month. The top-tier Business Hosting plan is focused on providing you with the best performance possible. To achieve this, all the specifications are unlimited. This includes unlimited bandwidth and unmetered storage space. One free domain is included, as is a free SSL certificate. It comes with a dedicated IP address for added security as well, which is something you would have to pay for on the two other plans. If you plan on selling items or services, this plan also allows you to integrate a PayPal “Buy Now” button. 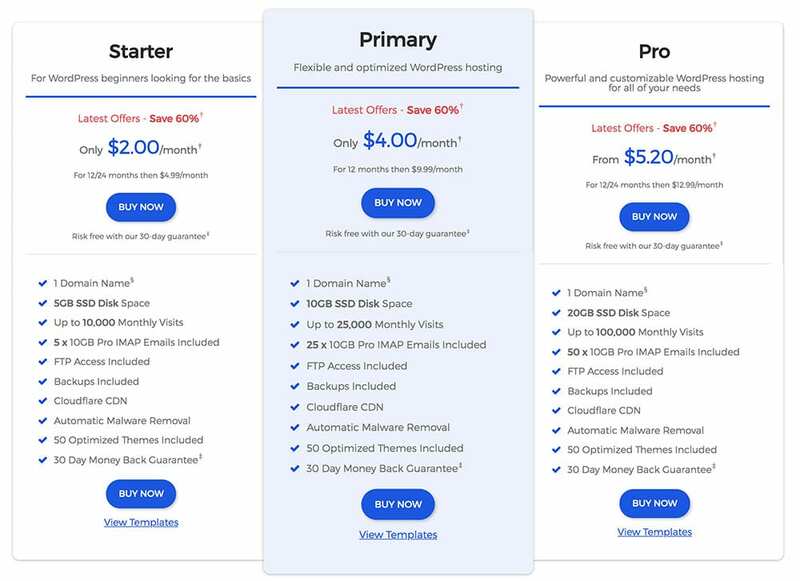 The Business Hosting plan costs $6.40 per month if you commit to 12, 24, or 36 months. Then, it costs $16.00 per month. In addition to traditional shared hosting plans, WestHost offers plans that are optimized for WordPress sites. WordPress is a popular platform that’s flexible and easy to use. With WordPress hosting, you can create a quick website, blog, or e-commerce site in just a few clicks. Every WordPress site hosted at WestHost utilizes CloudFare CDN. This helps to enhance load times and reduce bandwidth requirements. All websites are also automatically backed up for safety, have security features built right in, and include malware removal features. To make things easier for you, WestHost offers thousands of customizable themes as well. 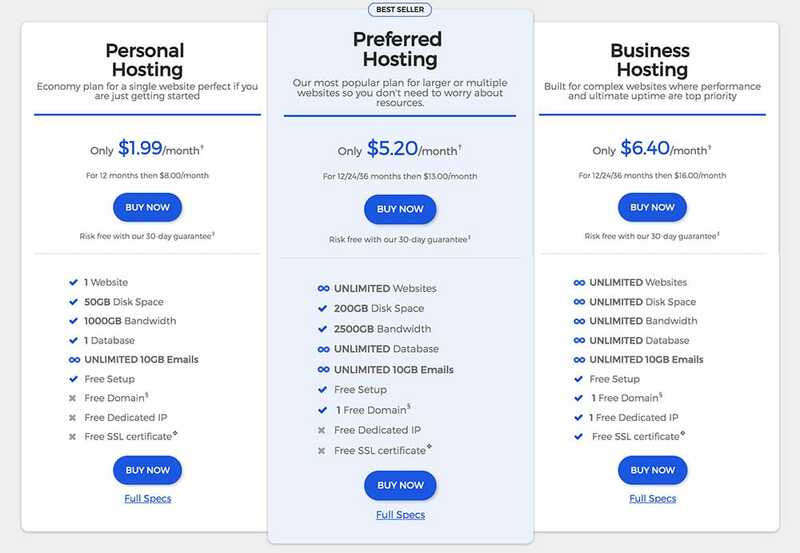 There are three different hosting plans to choose from. The Starter WordPress plan includes a single domain and 5 GB of storage space. Because the plan is cloud-based, your website is stored onto fast solid-state drives for better performance. With this plan, your site can accommodate up to 10,000 monthly visitors. You also get five 10 GB Pro IMAP email accounts. The Starter plan costs only $2.00 per month with a commitment of either 12 months or 24 months. After you fulfill the contract, or you choose to subscribe to a shorter hosting period, the plan cost $4.99 a month. The Primary plan is suited for those who want to take advantage of all that WordPress has to offer. It includes 10 GB of solid-state disk space and 25 Pro IMAP email addresses. Up to 25,000 visits are included each month. The Primary WordPress plan costs $4.00 a month for a one-year commitment. After that, it costs $9.99 per month. The Pro plan lets you host more complex WordPress sites filled with content. It has 20 GB of solid-state storage space and can accommodate up to 100,000 visitors every month. The plan includes a single domain and 50 Pro IMAP email addresses. For the Pro WordPress plan, you’re going to be paying $5.20 per month if you commit to 12 or 24 months. Then, the price rises to $12.99 per month. Yes. If you’re on a budget, then its one of the better cheap hosts. Overall, WestHost has a lot of great things going for it. They offer versatile hosting plans and plenty of great perks to help your website reach its full potential. The company excels in security, in particular, which can be great for companies and individuals who need to keep sensitive information safe. With all that being said, WestHost is not the best hosting option out there. They don’t offer the best uptimes or page load speeds. While their prices may look enticing at first glance, the various limitations they have in place may end up costing you more in the long run. Truth is, there are better hosts that can provide you with more consistent performance and better support when you need it most. WestHost is an average host that can be good for beginners just getting started with their website. However, many successful website owners ultimately end up seeking better hosting providers once their needs become more than what WestHost is capable of serving. Want to leave your own review about WestHost.com? If it provides value to our visitors then we will publish and send you $30. Note that not all reviews will be published. To be in with a good chance of your review getting published then you will need to write valid, unique, resourceful and helpful reviews – this can be either positive or negative. All the best with your WestHost review!! !